Aizawal : A 12-hour state-wide bandh has been called by opposition Mizo National Front (MNF) today to protest against hike in price of rice sold through the PDS and increase in different taxes. Streets in the state capital remained deserted as people stayed indoors. Only those given special passes and people exempted from the bandh, including media persons, ventured outside. 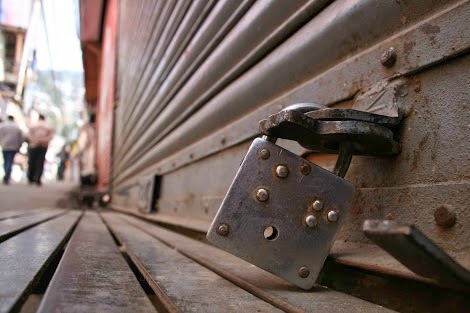 Shops, educational institutions, banks and offices remained closed. No untoward incident has been reported so far, a police officer said. The NSUI also said that paying of taxes, which the MNF stated is one of the reasons for the bandh call, is an important duty for a true citizens of India. The tax is not for individual or party benefit, rather it is mean for the use of government for the development of its people, NSUI said.